Don't back down from walking your neighborhood trail in less-than-perfect weather. The Timberland Chillberg Mid Shell WP boots wrap your feet in cushioned comfort and waterproof protection. 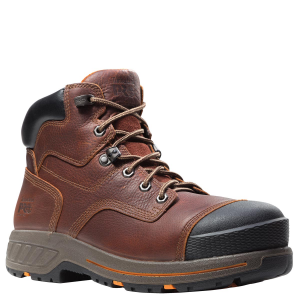 Timberland Chocorua Trail 2.0 8" waterproof hiking boots are built with full-grain leather from an LWG Silver-rated tannery and TimberDry waterproof membranes for excellent weather protection. The Timberland Grantly chukkas are built to last wherever you wear them. Durable full-grain leather and breathable lining will keep feet supported and comfortable at the office or the watering hole. 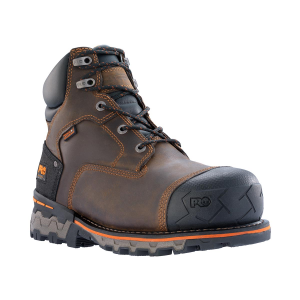 TB0A16T4214 Timberland Men's Gridworks 8 Inch Soft Toe Waterproof Quality, durability and performance all come together in this rugged 8 inch work boot. Crafted of full-grain leather, the waterproof Mt. Maddsen Low hiking shoes from Timberland offer rugged performance and comfort for long miles beyond the pavement. 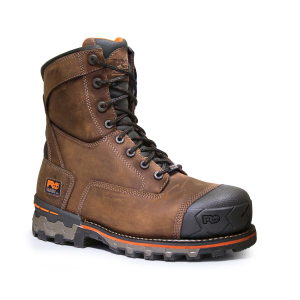 Classic style and serious performance are the hallmarks of the Timberland Premium 6" waterproof insulated boots, which are crafted from high-quality leather and PrimaLoft(R) insulation.